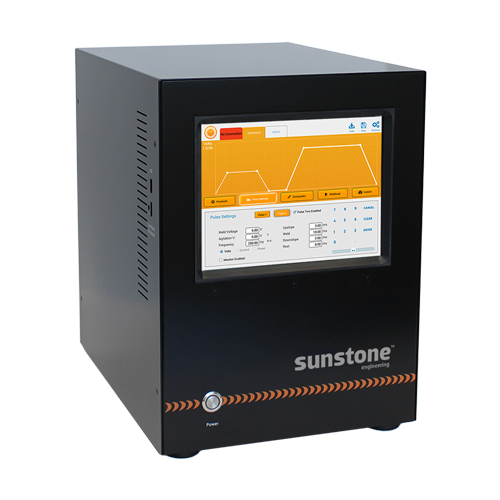 Sunstone has designed a completely unique closed-loop feedback resistance welding system. Utilising the latest Ultra Capacitor technology, the UC Linear DC welder has the power of a High-Frequency Inverter and the precision of a Linear DC. This is a completely unique product. It isn’t an HF welder since it does not require an external transformer, and it isn’t like typical Linear DC welders because it doesn’t use transistors to control the energy output. Yet, this product is able to perform the same functions as both of these technologies, and in most cases it has capabilities that exceed those of other HF or Linear DC welders – offering high repetition rates, fine low-energy control, and short or long weld times – without any of the drawbacks and inconveniences. Visit our YouTube channel to see 41 videos of Linear DC welders in use.